HEAD OVER TO BEN BULLEN ADVENTURES FOR YOUR BIRTHDAY PARTY! Are you bored with the same old birthday parties doing the rounds? With 3 children, we understand what it’s like to see the same party entertainers at the same party venues! But it doesn’t have to be that way anymore! 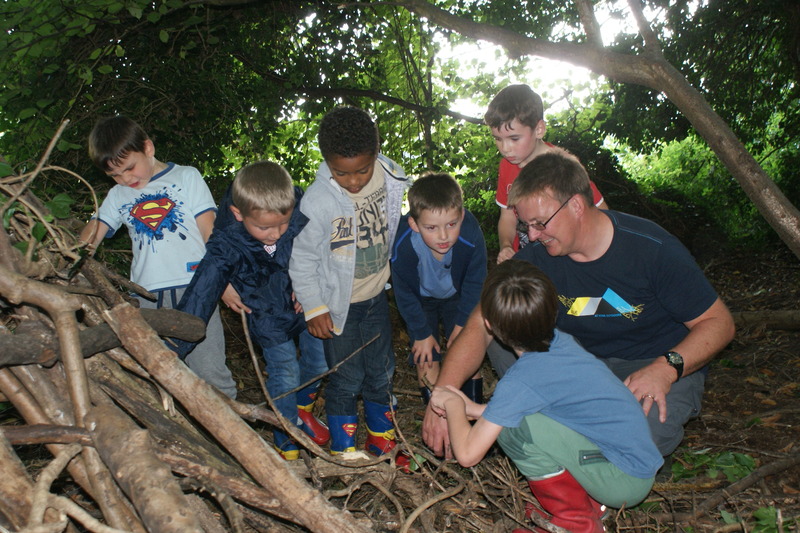 Our parties are designed to take children right back to basics and unleash the hunter gatherer from within. For 2 hours, we will get ourselves lost in the woods and allow ourselves to be enchanted by the magic of a glowing fire and toasted marshmallows! HOW ABOUT A SURVIVAL PARTY? All of our party goers will have the chance to build themselves a shelter for accommodation and decorate their house in the woods with chosen home comforts. They will have the opportunity to light their own fires using flint and steel and some household favourites such as a tube of pringles. 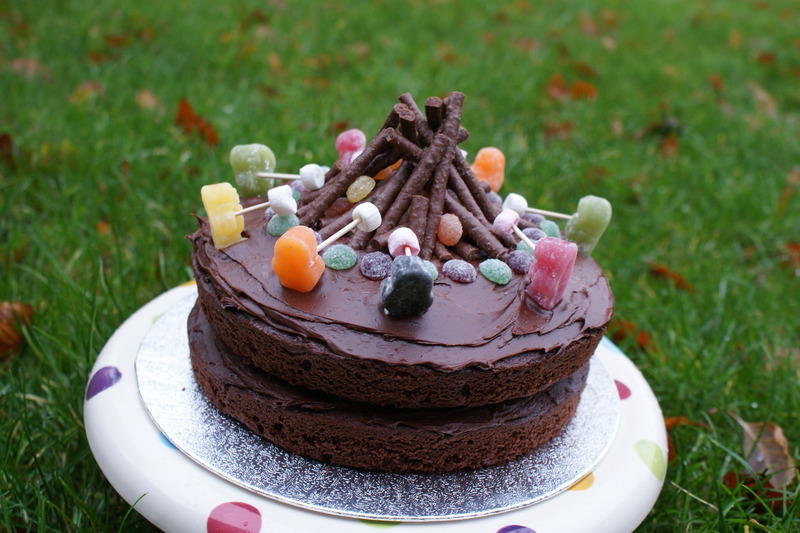 We will of course be cooking marshmallows over the fire and we will provide you with an opportunity to have some food and all important birthday cake! We can leave the food up to you, provide lunch boxes or give you the number for a local pizza delivery, the choice is yours! Due to the nature of the activities, our parties are designed for 7+ years. We go ahead with these parties no matter what the weather; the rain just means the kids make better shelters! We’ve just built a large covered area in the woods which allows everyone some shelter in the rain and means we can run the parties throughout the year. It may sound a bit worrying offering activities such as lighting fires without matches, but we have done these things for years now without incident! We are extremely safety conscious, but we recognise that kids want to do some activities which just aren’t done these days. That’s where we come in to offer those experiences that aren’t so common these days with expert supervision. For this reason, our parties are designed for children aged 7+. They are fully insured and are great fun! Our little haven of land is found at Kelsey’s Farm – home of Kelsey’s Farm Shop and the Crayzee Barn in North Cray. You’ll be taken to a secret bit of jungle next to a bubbling brook where we build shelters and relax around the fire circle. It’s an amazing location within the M25 where you feel as though you could be in the Amazon! And don’t worry parents; we’ve put a nice picnic bench in there for you to sit at while the kids enjoy themselves and a covered area for everyone if it’s raining. Some parents bring a tin of hot dogs and we can provide a small stove if you want to make up some party food for the kids on site. Or from Kelsey’s Farm we can provide party food to give to the kids in the final 15 minutes of the party while sitting round the campfire. £6 per child will buy you a ‘Happy Meal’ style box with a sandwich, drink, crisps and something sweet. We will also ensure there is time left for birthday cake – here’s an idea if you want to make your own! The numbers is the only thing we’re strict on, more than 15 with one party organiser is a bit chaotic! So for up to 30 kids the party is £330, which includes additional staff.